Renowned Finnish film director Renny Harlin (Cliffhanger, Die Hard 2) brings us The Legend of Hercules, an attempt at an origins story of the half-man/half-god we've seen hit the big screen in the person of so many different well-muscled talents over the years. 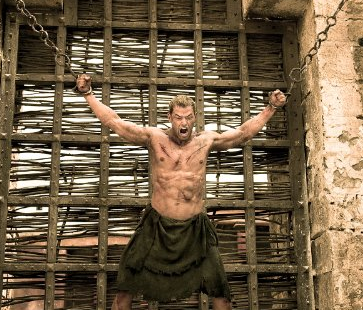 Betrayed by his stepfather, “King Amphitryon” (Scott Atkins), and sold into slavery because of a forbidden love with “Hebe, princess of Crete” (Gaia Weiss), “Hercules” (Kellan Lutz) must fight his way back to his kingdom, over which he is destined to rule by his father, the king of the gods, Zeus. It’s a story that should fit the mythology it comes from, but it has not even a little respect for its origins—or for good, believable drama or romance or good acting, or even action. Nevermind that the actors don’t boast the charisma for their roles (with the exception of Liam McIntyre as “Sotiris,” perhaps the only credible performance at any juncture). Just mind that what we are given is a badly overzealous and totally misguided attempt at “wowing” us with action, shirtless men, and special effects while just assuming we’ll catch onto the stuff that requires real acting, like the drama/romance in the life of its star. Herc is supposed to be destined for greatness, which the film keeps on reminding us of, but only with assaulting melodramatic ambience, and never with even a lick of wit. We are shown his mother being pleasured by Zeus in her bedchamber and Amphitryon declaring that her offspring would never be in line for the throne along with his half-brother and rival, “Iphicles” (Liam Garrigan). We are shown Herc demonstrating justice and compassion in oppressed towns as he gains alliances with the people. And all the while, we remain in complete awe at how...everything about this movie...misses its mark! While the whole thing feels like it can’t decide if it wants to be a B-movie or just an outrageous parody of Hercules, it is because of the writing and acting that we get such awful performances. Apparently, no one stopped to use test audiences this time around, or even ask the question of whether or not any of this was effective or believable. And you know there is trouble when every character on screen is so hollow that it becomes insulting within just a few short minutes of the viewing. Even the timing of events is wrong since no one could travel the distances traveled (from Egypt to Greece) by Herc and friends in the time allotted. And count on a bad movie being even worse when we realize every time somebody dies that we feel no loss for that person whatsoever, and neither do the characters. Ever kill a level-0 shopkeeper in a D&D campaign? Death in this movie feels like that. It exhibits no strengths at all, but the one thing I was ever so thankful for was that The Legend of Hercules went by very quickly. Swift progression of the screenplay being its only workable quality, we still aren’t done any favors since the movie must be over before we can appreciate that fact. And when we a) aren’t impressed with its action, and b) seldom even get any Herculean strength displays, we are that much more let down. Nothing good came from this. If you thought 300 was bad, this might kill you. 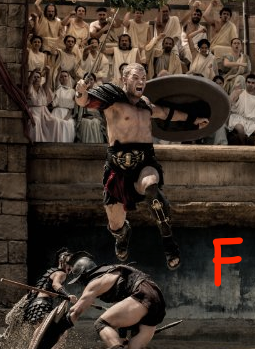 It didn’t even have the decency to pay homage to previous Hercules flicks or make us want to care about it at all. This one is a complete wash-up. What the hell happened here, Harlin?? ?